Walt Bishop: [during a storm] I hope the roof flies off and I get sucked up into space. 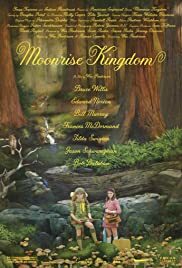 Q: Were children subjected to shock therapy in the 1960s, as implied in Moonrise Kingdom? Saw this just now in a small indie cinema in Heidelberg, Germany and I have to say, it was a romp. 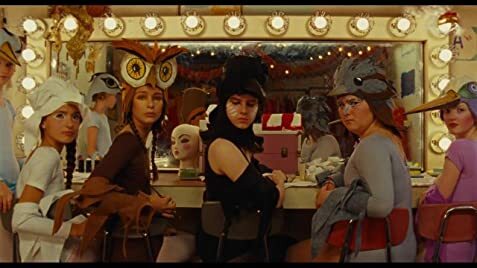 In my humble opinion this film manages to be both Wes Anderson's funniest picture so far and his most melancholic. The utter uncompromising stylishness of his other work is also present here, perhaps even heightened, but in contrast to The Life Aquatic (and to a certain degree The Darjeeling Limited), the emphasis here is firmly on plot. The brave and often odd visuals never overwhelm the story and the audience never feels like they are not quite in on the joke, like in The Life Aquatic. The tone does tend to become a bit erratic, especially in the last third of the film when Anderson seems to want to pack so much into every frame that the film becomes a bit cartoonish at times (hence the not-perfect score from me). All in all, though, the plot is very balanced and the pacing is great. The two young leads are superb and the brave move by Anderson to place unknown actors front and centre pays off beautifully. The rest of the cast is on paper even more star-studded than The Royal Tenenbaums and yet Anderson never steers into unnecessary character development just to accommodate his stars. A touch here and a touch there are more than enough to paint a picture of a group of people who are eerily similar in their dissatisfaction with their lives and yet react quite differently to the two young lovers' dash (literally) for happiness. In conclusion, a must-see for Anderson fans and highly recommended for everyone else. 253 of 307 people found this review helpful. Was this review helpful to you?